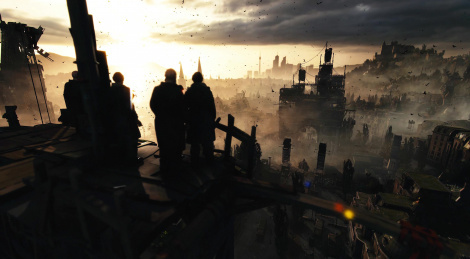 Dying Light is getting a sequel, named of course Dying Light 2, but the surprise is how ambitious it seems to be, with even Chris Avellone (Fallout 2 among many) joining as narrative director. Images, trailer and gameplay inside. I loved everything about Dying Light 2, seems to be far much more than most sequels ever do. With Chris Avellone in charge of the story, the more improved gameplay, the multiple choices and the ramifications, DL2 will be a very excellent game. Also, Techland is still supporting Dying Light 1 with free updates and DLCs still today, over 3 years after the game's release. I'm sure they will do the same and even more with DL2. Very excited for this. Wow, that's how you do a sequel.. Looking forward to this one. Dying light was a good game let down by bad writing and lack of polish. Seems this one is trying to rectify those issues. This seem ambitious. I never got round to player the first one. Definitely getting hyped for this. The first one was very fun in co op despite its flaws. I can’t get enough great co op games. Any chance for 1080p/60fps or 2160p/30fps versions? My phone doesn't like playing 2160p/60fps videos when I put them on it.